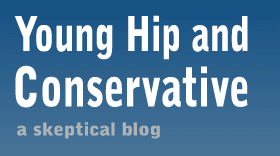 Young, Hip and Conservative: a skeptical blog: Will military recruiters be allowed back on campus? Will military recruiters be allowed back on campus? As mentioned before, now that Don't Ask Don't Tell is no longer the law of the land, universities will have to find another excuse to chase away military recruiters. ROTC and its warrior ethic taint the intellectual purity of a school, if by purity we mean trying to rise above the foul idea that nations can kill and destroy their way to peace. To oppose ROTC, as I have since my college days in the 1960s, when my school enticed too many of my classmates into joining, is not to be anti-soldier. I admire those who join armies, whether America's or the Taliban's: for their discipline, for their loyalty to their buddies and to their principles, for their sacrifices to be away from home. There is no argument over the choice between peace and war, but there is only one guaranteed way you can have peace and you can have it in the next second – surrender. ...From our side [Nikita Khrushchev] has heard voices pleading for “peace at any price” or “better Red than dead,” or as one commentator put it, he would rather “live on his knees than die on his feet.” And therein lies the road to war, because those voices don’t speak for the rest of us. You and I know and do not believe that life is so dear and peace so sweet as to be purchased at the price of chains and slavery. If nothing in life is worth dying for, when did this begin – just in the face of this enemy? Or should Moses have told the children of Israel to live in slavery under the pharaohs? Should Christ have refused the cross? Should the patriots at Concord Bridge have thrown down their guns and refused to fire the shot heard ’round the world? The martyrs of history were not fools, and our honored dead who gave their lives to stop the advance of the Nazis didn’t die in vain. McCarthy revealed in a 2008 interview that his opposition to all wars makes no exception for World War II, and that "Hitler could have been waited out." If this is the kind of leadership emerging to keep the recruiter ban, then that side has already lost. I don't get how his "anti-war does not equal anti-soldier" statement puts McCarthy in the "peace at any price" camp. In fact it seems entirely unrelated. Admiring the soldiers for X reasons while opposing warfare is a great example of love the sinner, hate the sin and is a tenet of every major non-violence advocate. What is loose-canon about it? If anything, his statement: "Hitler could have been waited out" is his poorest quote worth distancing from. Even then, it's not about conceding violence as the only means to defeat Hitler - but that "waiting out" was a poor choice of words or a poor strategy for dealing with Hitler non-violently. It connotes the pacifist, peace-at-any-cost argument that is not compatible with non-violent resistance as taught by Mahatma Gandhi or Gene Sharp. I don't know McCarthy - so I don't know if that one statement is enough to damn him or not. Regarding Reagan: He is the perfect embodiment of the misunderstanding between non-violence and pacifism. It is incorrect to assume that the only alternative to fighting is to stand by aimlessly and be trampled by your enemy. Martin Luther King Jr. and Gandhi did not stand by idly. Also - what's with the question about Jesus? Is he implying Christ employed violence for his cause? Jesus was the purest form of non-violent activism - how can Reagan use his crucification as justification of violence as a form of conflict resolution? Jeremy, McCarthy is not sincerely admiring US soldiers - he is putting them on the same level as the Taliban. That is a phrase that will not help his side, and that is what I mean by loose-cannon. It was not a compliment. I don't quote Reagan a lot here but his wider point is that peace is simply the absense of war and conflict - it does not garuntee a desirable scenario. I see how it can be taken as a false dichotomy, but I saw it as an extreme example that war can be a better option than peace in some scenarios. I think his Jesus example stands out a little - it was saying resistance over surrender, but it took a very different form than the others. I don't get what blocking military recruitment even has to do with peace. Did you ever see the letter from a Marine recruiter to Code Pink? He outlines that all nations need a standing military for defense, and it's the politicians who decide to go to war, not the generals. And because it matters here, it was the politicians who wrote DADT, not the military. For the recruiter ban to make sense the schools would have to ban all Federal tentacles including grants, since it was they who make the rules the military follows. I also hear so much complaining from the left that too many poor minority members go to war, so why block recruitment at Ivy league schools? Aren't they part of the cause? I didn't interpret his statement as a demotion of our soldiers to the level of the Taliban. I haven't read his entire article - but what you have in your post seems genuine enough. their sacrifices to be away from home." Whether your cause is just or misguided/unjust - it takes serious levels of physical courage, strength and determination to go to war. As a strong proponent of non-violence myself - I can genuinely recognize and admire that. You can recognize similarities between two peoples without comprehensively equating one to the other. To identify these admirable traits of Taliban soldiers does not forgive them for the atrocities they commit NOR blame our own soldiers for the same. In fact, I would go further and say that you HAVE to find similarities between you and your enemy. That's empathy - that's what will bring understanding between two disparate peoples. "I don't get what blocking military recruitment even has to do with peace ... all nations need a standing military for defense, and it's the politicians who decide to go to war, not the generals." Citizens refusing to enlist certainly plays into a politician's decision making about going to war. With more people refusing war as an option, or more practically just the fact that there are fewer soldiers - perhaps our politicians would have taken a little more time to deliberate the merits of invading Iraq. Regarding the letter, I think it was very good and that Code Pink isn't the best anti-war messenger. Counter-recruiting is for me less about being anti-military/war and more about protecting young adults. I had experienced a lot of dishonesty in recruitment programs. There's an over-emphasis regarding the virtues of military life with very little effort describing the realities of warfare to potential recruits. I want potential-recruits to fully understand what it means to enlist and I have confidence that when they do the option won't be attractive.